Draftfcb South Africa has confirmed – once again – its status as the country’s leading brand builder by winning The Robyn Putter Top Brand Agency of the Year Award. Recognising the creative agencies behind the big brands, the award is calculated on a points system for agencies with clients that achieved first, second and third place in the Sunday Times Top Brands Survey. Commissioned by Avusa Media and conducted by TNS, this survey involves interviews with 400 senior business people, as well as 3500 consumers over the age of 18. Ranked by consumers, Draftfcb South Africa’s clients achieved first places in the car category (Toyota), petrol/gas station (Engen), tinned food (Koo), headache tablets (Panado), cold drink (Coca-Cola), long-term insurance (Old Mutual), and telecoms service provider (Vodacom). Business people ranked Draftfcb South Africa clients first in the telecoms service provider (Vodacom) and long-term insurance (Momentum Life). When it came to the survey’s Grand Prix awards, Koo was named as the Overall Favourite Brand while Coca-Cola received three Grand Prix – Done Most To Uplift The Community, Done Most To Promote ‘Green’ Or ‘Environmentally Friendly’ and Most Desired Company To Work For. Celebrating the agency’s achievement, Draftfcb Chief Creative Officer, Brett Morris, said it was a result of a professional and committed client-agency relationship supported by critical strategic insights and creative advertising that touched the hearts and minds of ordinary South Africans. 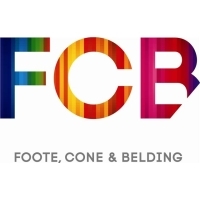 “Draftfcb enjoys long-term partnerships with client. For example, we celebrate 52 years with Toyota, 19 years with Vodacom, 36 years with Tiger Brands and 39 years with Adcock Ingram this year. “By developing advertising that resonates with the market, we’ve helped build their brands and their businesses. It’s an impressive achievement, and one we’re particularly proud of,” Morris said.